There have been bigger box office weekends this year, and ones with more groundbreaking and interesting movies. But because of what's at stake, this might be the most important box office weekend of 2012 so far. With a $250 million price tag (though that's a slightly fudged number, with some tech development thrown in there), John Carter is one of the biggest gambles of the year, or of the past several years, to tell the truth. An adaptation of the pulp sci-fi novels of Edgar Rice Burroughs (he of Tarzan fame), John Carter plops a lone Earthling adventurer (Taylor Kitsch) down on Mars (a Mars with a native population and breathable air, but bear with us) in an attempt to free its population from ... something. 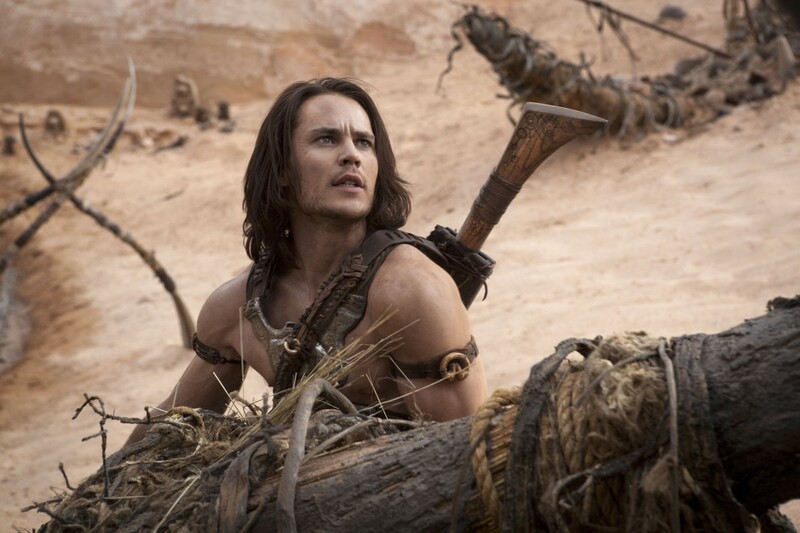 Look, there's monsters and sword fights and shirtless Tim Riggins, what else do you people want? The first live action outing from Pixar alum Andrew Stanton, this is a bit of a departure for Disney, who doesn't normally make live action films on this scale. It kind of shows in the advertising, since the early ads looked like Disney didn't quite know what to do with this film, and their expensive Super Bowl spot was a big flop. Things have rebounded a bit since then, thanks to a full court press on nerd bloggers, who have embraced it almost unreservedly. Then has come the attempt to brand it as the grand-daddy of sci-fi action adventure, which doesn't really work since most people are aware of temporal order. More mainstream reviews have been less kind to it, and it sits just below the “fresh” mark at Rotten Tomatoes.